What a buyer pays for a home is considered a true reflection of what the home was worth. Generally, however, the final sale price (what the buyer paid) is not the same as what the list price was. When trying to establish the true sales values for a neighborhood, real estate agents and other professionals look at the sale-to-list ratios. The sale-to-list ratio is the percentage that results from the amount that a buyer pays for a home, divided by the last list price. At Pulgini & Norton, our Boston real estate lawyers can help buyers and sellers with each step of a property transaction, including price negotiations. Many Massachusetts buyers wonder what they should offer, regardless of whether they are in a buyer's or seller's market. Meanwhile, a seller is usually hoping to conclude the sale quickly and get a final sale price that is close to what they sought. Generally, a buyer's offer should be based on market value, but there may be many factors to consider. One factor is the sale-to-list ratio of other similar homes in the town or neighborhood. In Massachusetts, the asking price and the final sale price are often quite close. However, as a buyer, you still want to be able to bring the final sale price as low as you can get it. To figure out the sale-to-list price, the selling price of a home should be divided by the list price. This amount is multiplied by 100 to create a percentage. When the resulting percentage is over 100%, it means that the home sold for an amount greater than its list price, but if it is below 100%, it sold for less. A buyer usually wants a sale-to-list ratio in the range of 90%, which means that their offer needs to be carefully calculated to be high enough that a seller is likely to accept but low enough that they feel satisfied that they are getting a good deal. Meanwhile, a seller may want a sale-to-list ratio of 100%-110%. Buyers and sellers look at sale-to-list percentages for groups of homes in order to figure out how to negotiate for the price of a specific property. Market conditions may have a big effect on negotiations. In a buyer's market, the buyer has more leverage to offer a slightly lower price. However, in a seller's market, when there are multiple potential buyers for a particular home, a buyer may not want to offer in the 90% range for fear of missing out. How far the sale-to-list ratio for a set of similar homes tilts from 100% may give buyers and sellers important information about the market dynamics at play and the price that the other party is likely to accept. It may be challenging to know how much you should pay for a home, and conversely, it may be difficult to know the price that you should list if you are a seller. Our firm can help you look at sale-to-list ratios. For many people, negotiating to buy or sell a home is one of the most important transactions of their lives. 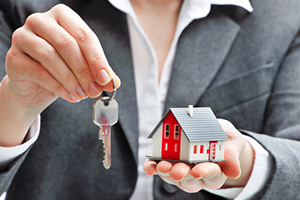 It may help to consult an experienced Boston real estate attorney. At Pulgini & Norton, we advise and represent buyers, sellers, and lenders in Andover, New Bedford, and Weymouth, among other Massachusetts communities. For a free consultation with a property transaction attorney, contact us online or call us at 781-843-2200.